During the discussion that followed, the question of the default text in the metric door template arose; why is the word ‘Exterior‘ placed at the top left when in plan? It is confusing because doors modelled with the ‘Exterior’ in mind don’t behave the way you would expect. For example, the two default doors in the 2013 architectural template differ from the expected; the single internal door swings upwards, or according to the text towards the exterior and the external door swings downward or opens to the interior. Now I’ve no idea when it comes to building code in the US, but other countries where I’ve worked always (with the odd exception) have external doors opening outward for egress. And I actually have our door families modelled accordingly, external doors opening to the exterior (swinging upward in plan) and the internal doors opening to the interior (swinging downward in plan). This was done with the reasoning that I always want exterior doors to open out of the building and internal doors to open in to rooms, and when users create new doors using the template it is clear which way they should swing in relation to the exterior text in the plan view (of course you could just edit the template!). At least with this approach our modelling should be consistent . Our Revit users have also been trained to place them correctly, exterior doors opening out, internal doors opening in to the room they belong to, so far so good. However, by default the doors all report the incorrect ‘to/from room‘ parameter! Just to clarify, this isn’t new behaviour, doors have worked this way for as long as I can remember. In the default template plan view, up (towards the ‘exterior‘ text) is reported as the ‘to room‘ and down is reported as the ‘from room‘. This doesn’t really matter for Peddle Thorp, because we don’t use these parameters in our door schedules, we use a custom Add-In to populate this data based on how the users place the doors, and there are Add-Ins available to flip the ‘to/from room‘ parameters as required for those using a more traditional workflow. 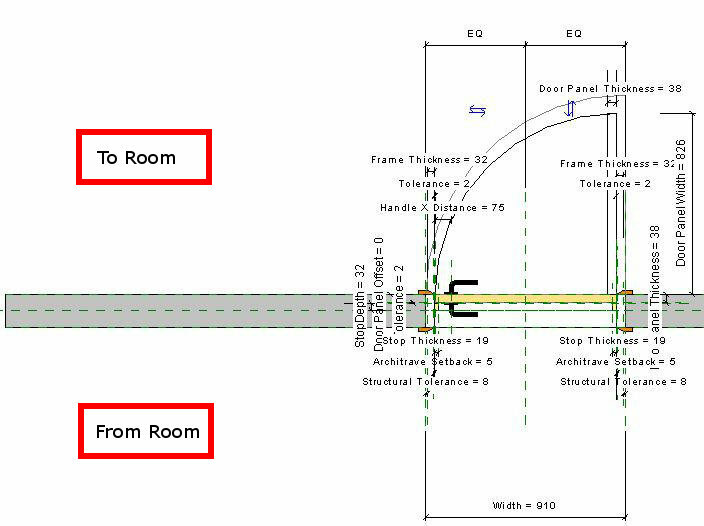 Often this is required, as the ‘to/from room‘ parameter is set upon placement of the door and is not updated if the doors are flipped afterwards. Would this be less confusing? This confusion could easily be cleared up if the text in the door family template was changed to read ‘to room’ at the top and ‘from room’ at the bottom. Or do you think it makes sense as it is? Of course this is ignoring that when you flip a door after it is placed, the to/from parameter doesn’t change. So why not go one step further and allow the modeller to set the desired to/from parameter whilst in the family editor and have it coded into the family? 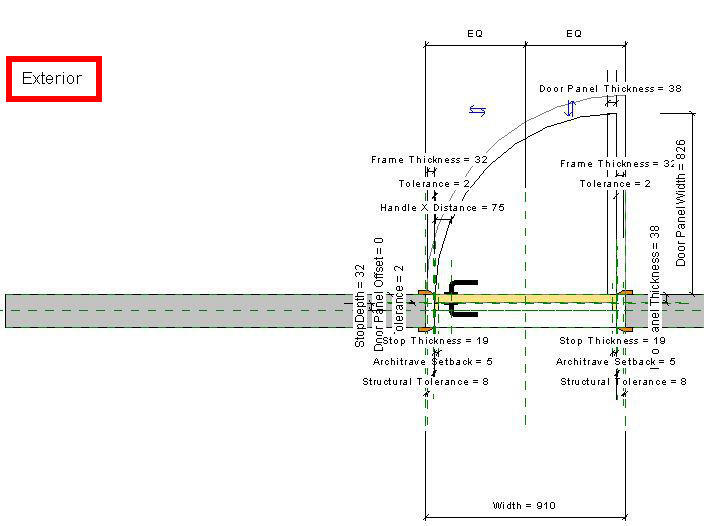 Would this simple change make for a betterRevit?